I love storms. Sometimes they’re scary, but generally speaking, I love storms and anything to do with meteorology. In another life I would have been a storm chaser. 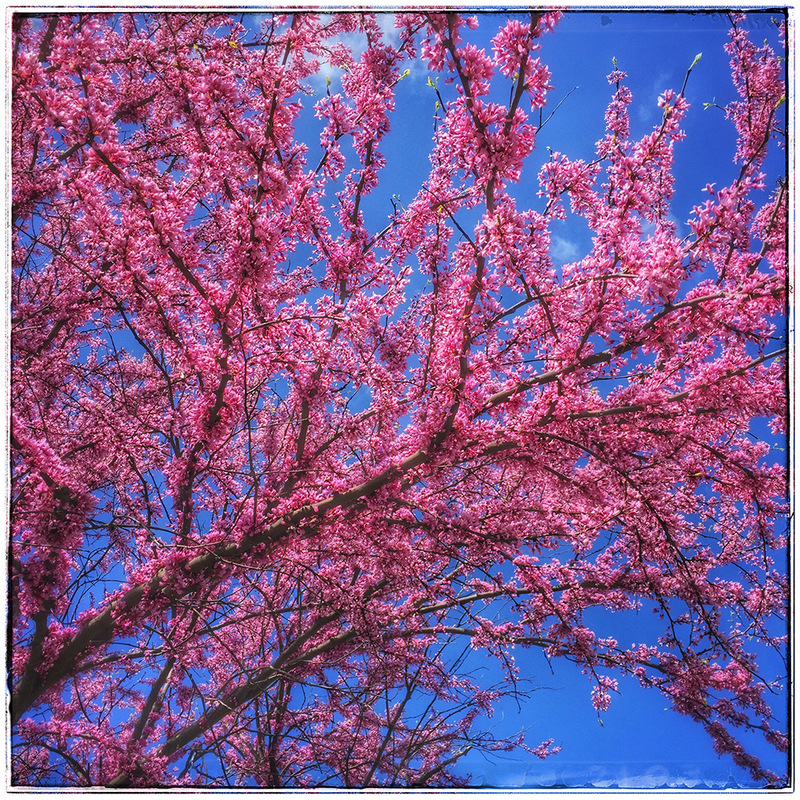 Naturally, I enjoy spring and its unpredictability. I also enjoy the rainbows. I’ve said before that I’m surrounded by trees and houses such that I never get a wide view of them, but that doesn’t mean I can’t appreciate what I see. 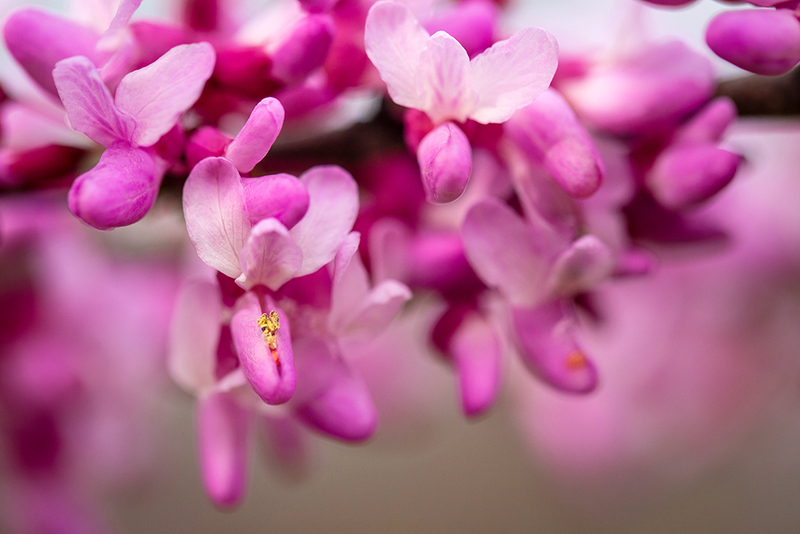 Kentuckians are experiencing Redbud Winter…again….and it won’t be the last for this spring according to the weathermen. 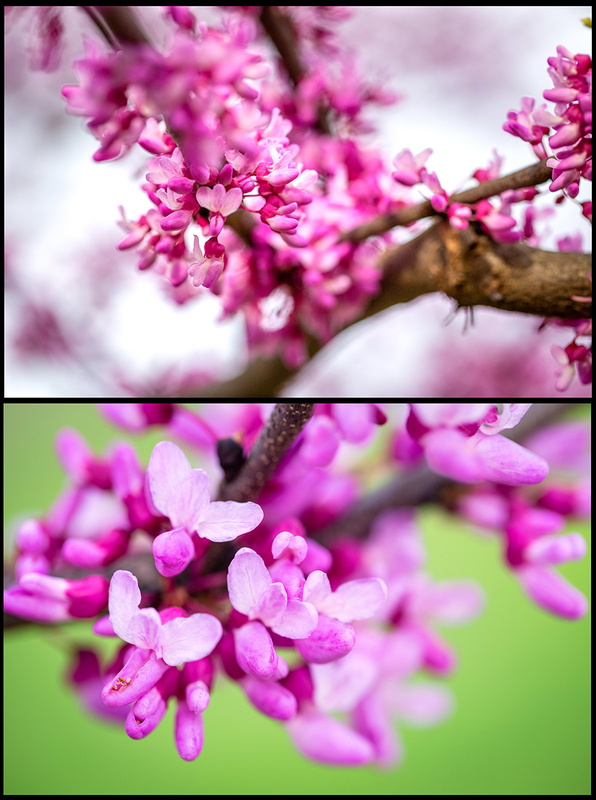 They don’t call it Redbud Winter for nothing: look at this fine Redbud basking in the cool temps. They’re all looking this spectacular right now. 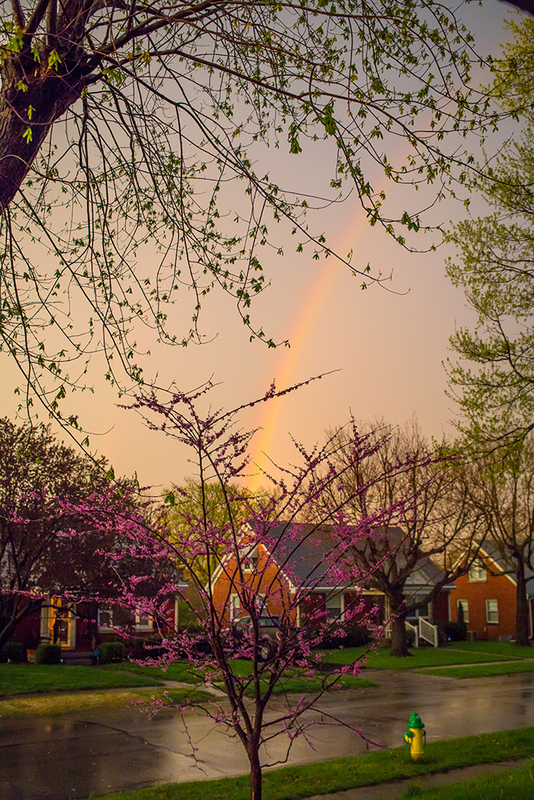 Spring is always stunningly beautiful in Kentucky, but there’s something about these full Redbuds that enhance the gorgeous for me. It’s getting colder outside, and windy as all get out, but I don’t care. The view of the neighborhood Redbuds from inside my toasty warm house suits me just fine today.